General Security National Insurance Company was incorporated in 1980 under the name of Copenhagen Reinsurance Company of North America whose parent company is Copenhagen Reinsurance Company, LTD. of Denmark. In 1989, the company was acquired by Sorema North American Holding Corporation. In 2006, the company was acquired and became a subsidiary of SCOR Paris. GSNIC is licensed to write insurance in all states except New Hampshire, Ohio, and Vermont. However, it is also authorized to underwrite reinsurance in New Hampshire and Vermont. Under its parent company, SCOR, it is able to underwrite insurance in most international countries including those in South America, Asia, Africa, and Europe. General Security National Insurance policies, which are now under the parent company of SCOR Paris, are strictly written as reinsurance for property and casualty and life reinsurance. Under the life insurance division, critical illness and short term and long term disability coverage is available to policyholders. A map of the headquarters is also available on their website. Careers for General Security National Insurance Company all fall under the SCOR umbrella. Careers can be found on their website with descriptions of the different careers available at SCOR. The company also explains the career paths available and methods of determining compensation. Degrees and required previous experience are also explained under the career section. 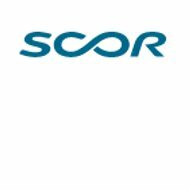 Internships are an additional career option within the SCOR Company, but all vacancies for internships and regular job opportunities are all listed but only in French. GSNIC maintains an “A” rating by A.M. Best. It remains strong due to the strength of SCOR. However, there is very little information on how SCOR underwrites using the General Security National Insurance Company name. Compare other insurance companies and receive quotes from active providers by typing your zip code into the free rates tool now!